Qatar joins its neighbors in supporting Egypt under President Abdel Fattah al-Sisi, despite his crackdown on the Muslim Brotherhood. Qatar on Tuesday joined its neighbors in supporting Egypt under President Abdel Fattah al-Sisi, despite his crackdown on the Muslim Brotherhood, of which Qatar has been a longtime supporter. 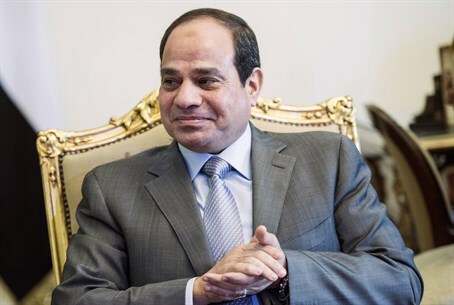 According to AFP, leaders of the six-nation Gulf Cooperation Council (GCC) states, in their final statement, announced their "full support to Egypt" and the "political program of President Abdel Fattah al-Sisi". "We believe that a strong Egypt is in the interest of all Arabs and especially for GCC states," Qatari Foreign Minister Khalid al-Attiyah told a press conference at the end of the summit. Convening the Doha summit, which had been shortened to one day, was made possible only by last-minute Kuwaiti mediation that succeeded in resolving a dispute between Saudi Arabia, the United Arab Emirates (UAE) and Bahrain with Qatar over the Brotherhood. In an unprecedented development, the three nations had recalled their ambassadors from Doha back in March, in protest against Qatar's support for the Islamist movement, branded as a terrorist organization by Riyadh and Abu Dhabi, and outlawed in Egypt. Qatar had repeatedly denounced Sisi's ouster of Islamist president Mohammed Morsi, and still provides shelter for many Brotherhood leaders, especially those who have been forced to flee a crackdown in Egypt, though it did expel some members of the Muslim Brotherhood from its territory in September. Diplomatic staff returned to Qatar last month, paving the way for Tuesday's summit. Qatari Emir Sheikh Tamim bin Hamad Al-Thani said he hoped the summit would "signal a new beginning for Gulf relations". The GCC leaders reiterated their resolve to combat terrorism and welcomed a UN Security Council resolution condemning human rights abuses in Iraq and Syria by the Islamic State (ISIS) group and Al-Qaeda's Al-Nusra Front. "The leaders have reaffirmed the GCC positions of deploring terrorism and extremism in all forms, regardless of its reasons and justifications or source," the final statement said, according to AFP. In his opening remarks, Sheikh Tamim called for a joint regional effort to confront "terrorism".